16 gram CO2 refill cartridge for use with the Cornelius Keg CO2 Charger. Price is for one 16-gram cartridge. 2 way gas Distributor with check valve. For splitting gas lines to 2 separate kegs. 3 Way gas Distributor with check valve. For splitting gas lines to 3 separate kegs. Beverage line for serving beer. Price is per foot. 3/8 " plated brass tailpiece for use with hex beer nut. 4-way gas distributor with check valve. For splitting gas lines to 4 separate kegs. 5/16" x 9/16" clear Bev Flex Tubing. Price is per foot. 5/16" thin-walled clear racking hose. Works with 3/8" OD bottle fillers, racking canes, and Auto-Siphon. Price is per foot. This set of stainless steel gas and liquid ball-lock posts fits Firestone pin-lock kegs, pills converting a pin-lock keg to a ball-lock. Barbed cross, 1/4" x 1/4" x 1/4" x 1/4" for splitting lines. Barbed tee, 1/4" x 1/4" x 1/4" for splitting lines. 1/4 x 1/2 clear PVC Bev Flex line. Price is per foot. Fits on the top of plastic soda bottles for carbonating with ball-lock disconnects. 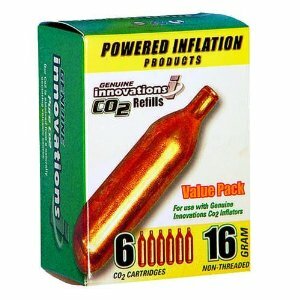 This adapter allows you to connect a CO2 regulator to your paint ball CO2 tank. Dispense beer (or soda) from your Cornelius keg without hauling your CO2 cylinder. Requires a threaded gas disconnect. Washer for putting between your CO2 cylinder tank valve and the regulator. Connector O-ring for ball-lock keg posts. Convert any freezer into a kegerator or lager box! Just plug the freezer into the outlet cord, place the gas-filled sensor in the area to be controlled and program the temperature. This manual thermostat simply turns off the freezer when it reaches the specified temperature. Other features include lockable touchpad temperature adjustment, a 6-foot power cord and a 6-foot outlet cord. This brush is small enough to fit in the dip tube of a Cornelius keg and long enough to clean the entire length. Stores right in your beer faucet when not in use. This soft vinyl faucet cap will keep fruit flies and other insects out of your faucet between use. Universal fit - fits most faucets. Brass faucet with brass lever. Standard oblong, black resin, with insert. Replacement gasket that seals the faucet and shank. Faucet wrench for removing/installing beer faucets. Female coupler with 1/4" barb.